Posted March 28, 2014 by Eric Graham . Facebook is an integral part of any business marketing. But just being on Facebook isn’t enough. Time must be devoted to being active on the site to get more share, likes, and comments. 1. Go Visual and post photos instead of text. 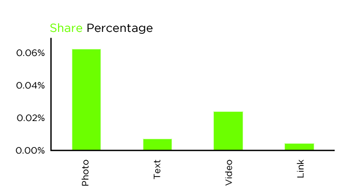 Photos get more engagement than any other type of media on Facebook. Dan Zarrella, the “Social Media Scientist” at HubSpot, collected data on more than 1.3 million posts published on the top 10,000 pages and analyzed them to see what characteristics connected with higher performance (likes, comments, and shares). 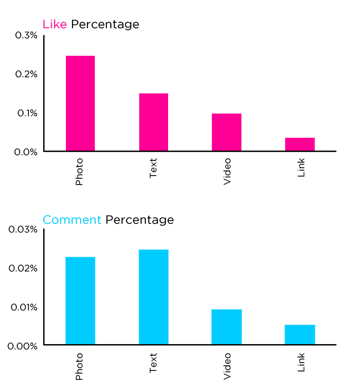 When looking at the graphs below, photos get the most likes and shares by far when compared to text, video, and links. 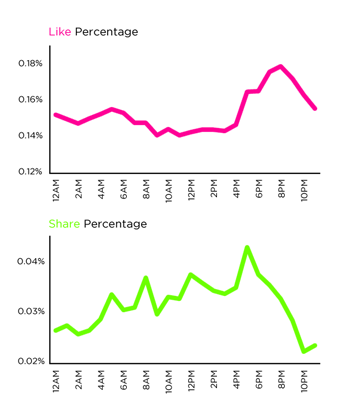 2) Timing is everything: Content posted later in the day gets more likes and shares. Likes peak around 8pm while shares peak earlier, around 6pm. 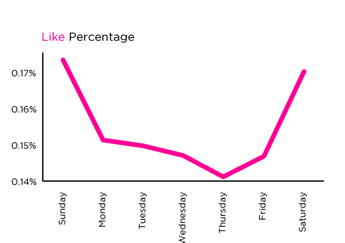 Post published on Saturdays and Sundays also receive a higher like percentage than those posted during the business week. Not on Facebook at 8pm? No problem. You can schedule posts using social media management software such as HootSuite or Postling. Keep in mind these are broad statistics. Posting at these times doesn’t always make sense for businesses. Get the most out of your Facebook posts by timing them right. 3) Ask a question. If you are looking for comments as your main type of interaction, questions may be the way to go. 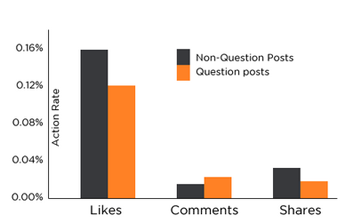 They tend to get more comments than non-question posts but less likes and shares. 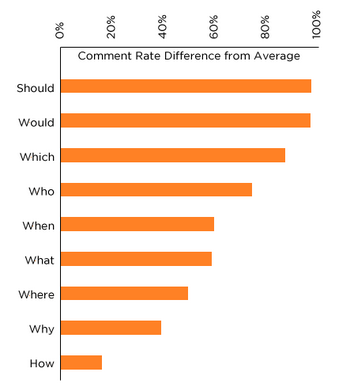 According to HubSpot, the most popular questions contained ‘should,’ ‘would,’ ‘which,’ and ‘who.’ Closed questions that have limited answer options are a high attracter for comments. 4)Keep up with analytics. If you want more engagement and followers, make sure you are keeping track of what’s working for you and what isn’t. Many social media management platforms let you keep tabs on your post’s analytics. Don’t be afraid to experiment or do a little research. Social Crawlytics is a free tool that lets you see the platforms that your competitors’ content is getting shared on most. This way you can identify your competitor’s most successful content for Facebook. For content strategy and ideas, you can use Bottlenose which shows you the emerging trends and threats to your business across social media. This allows you to make real-time relevant marketing. 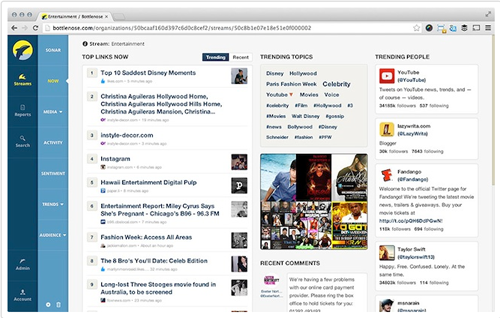 Bottlenose shows social media trends. Do these tips seem complicated or time consuming? Call AMG – we’ll take care of your marketing so you can run your business! In addition to Social Media Marketing, AMG offers a variety of services to manage your online presence and help grow your business. Contact AMG today!